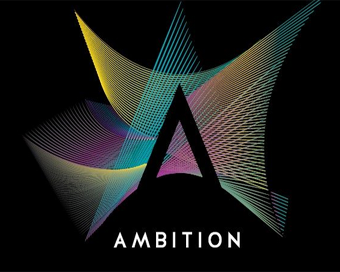 JUST eight of the 24 finalists in this year’s EY Entrepreneur Of The Year Ireland programme are female – but the organisation is hopeful that the gender breakdown will hit the 50/50 mark by 2021. That’s according to Barbara Nestor, EY Director of Corporate Communications, who points out that although this year’s batch of female finalists constitute just over 30% of the overall group, nine years ago, female finalists constituted an infinitesimal two out of a total of 24. In comparison, she comments, the 2018 figure constitutes ‘steady progress’: “In 2013 it was four female finalists, in 2016 it was five – and in 2017 and 2018 it was eight,” Nestor points out. “As an organisation we are putting huge emphasis on female entrepreneurs. We work very closely with Enterprise Ireland and Invest Northern Ireland in terms of the up and coming entrepreneurs – these organisations feed into the Emerging category,” Nestor explains, adding that in this context, EY also set up a special Female Forum: “We set up a Female Forum in 2016 to encourage and grow female participation in the EY programme. “This is about supporting each other – sharing stories and discussing challenges specific to female entrepreneurs as well as providing networking opportunities and encouraging the next generation of female entrepreneurs,” Nestor explains. EY finalists compete across three categories – Emerging, Industry and International, with one winner being chosen as The EY Entrepreneur Of The Year later this year. According to Nestor, there are different reasons why there are only eight females in this year’s finalist line-up – some female-led companies may simply not meet the eligibility guidelines or they may be in a growth surge and busily expanding, while others, set up in the recession years, may not yet have reached sufficient maturity to participate. However, she is optimistic: “Year on year, female participation is growing and over the next few years we would love to see it reach at 50/50. It was a steady eight in 2017 and in 2018, and in the next few years – hopefully the next three years – we‘d love to see it go to 50-50. “We’d be happy to see more female-led companies set up in the recession years mature to the point where they would match the entry criteria so they can come into the programme,” she observes. An optimistic sign, she believes, is the fact that EY Ireland recently saw the first Irish woman selected for the European Entrepreneurial Winning Women Forum, which runs across 11 countries and involves 17 businesses annually – Leonora O’Brien of Pharmapod, a cloud-based platform which allows pharmacists to record, analyse and reduce medication error, and improve standards and efficiencies within their pharmacies. 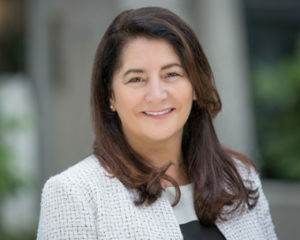 One of this year’s EY finalists is Elaine Sullivan, co-founder and CEO of the fledgling cancer treatment development firm, Carrick Therapeutics, headquartered at NovaUCD. Elaine, a former vice president for R&D functions at both US pharmaceutical giant Eli Lilly and UK medical leader AstraZeneca, says she is “very excited” about being a finalist in the Emerging Category of the EY competition. The juxtaposition of learning that her father was going to die in a matter of weeks with the fact that a new cancer trial was able to give him three more years was life-transforming for her, she recalls. “My whole family was over the moon that he had been given this therapy and for me it was transformational. It was my father’s experience that set me on this path,” says Elaine, who co-founded the firm in 2015. These days the start-up employs a total of 60 people and is carving out a strong reputation in its field: “We have developed a therapy that we are testing in patients which could be effective in the treatment of breast and other cancers,” she says. 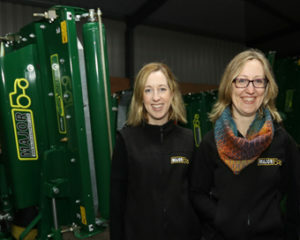 For Eibhlín Murphy, Marketing Director of the 42-year-old Ballyhaunis, Co Mayo firm, Major Equipment Ltd, who is a finalist in this year’s International Category, says being chosen “brings your head above the parapet.” Eibhlín is the second generation to work in the family company set up by her father and uncle in 1976 – her sister Áine is the Finance director, while brother Eoin is Experts Manager. Dad John is still involved in the firm, overseeing the Research & Development department of the company, which designs and manufactures machines for the agriculture and amenity industries and industrial application. The company, which exports to about 20 countries including the UK, Australia, New Zealand and all of mainland Europe – employs 110 employees in the group worldwide. “Being a finalist for EY is a huge thing for Áine and myself and for the company,” says Eibhlín. “It makes you think outside the box and it brings your head above the parapet so that you start looking at the bigger picture. The whole point of it is that you become a member of a big network of EY alumni. “For us as a company, to have this kind of endorsement is enormous – companies in Australia and Germany have already signalled that they are aware we are up for this award. The 24 EY finalists were shortlisted from over 110 nominations received from across Ireland by an independent judging panel of previous winners, chaired by Anne Heraty, CEO of CPL Resources Plc, and winner of the 2006 EY Entrepreneur Of The Year™ award. Collectively, they employ more than 2,700 people and generate annual revenues of €150m. The finalists will compete across three categories – Emerging, Industry and International, with one winner being chosen as The EY Entrepreneur Of The Year™ 2018.